So these are the two projects I’ve just finished. The rooster I made for me, for fun. The covered bridge is an anniversary gift for my parents – they had their second date in a covered bridge just like this one. Pretty cool find, huh? I’m about to embark on a series, canvases made by the same artist who did the bridge. She’s got a whole heap of pretty sweet canvases of houses and scenes from the town I grew up vacationing in, Cape May, NJ. It’s not like I’m doing them all, or even half, but still – should keep me busy for awhile. So, as all you normal readers are aware, I’m sick, and I’ve been sick for quite a while. And I’m not really thinking straight. And I’m in pain all the time. 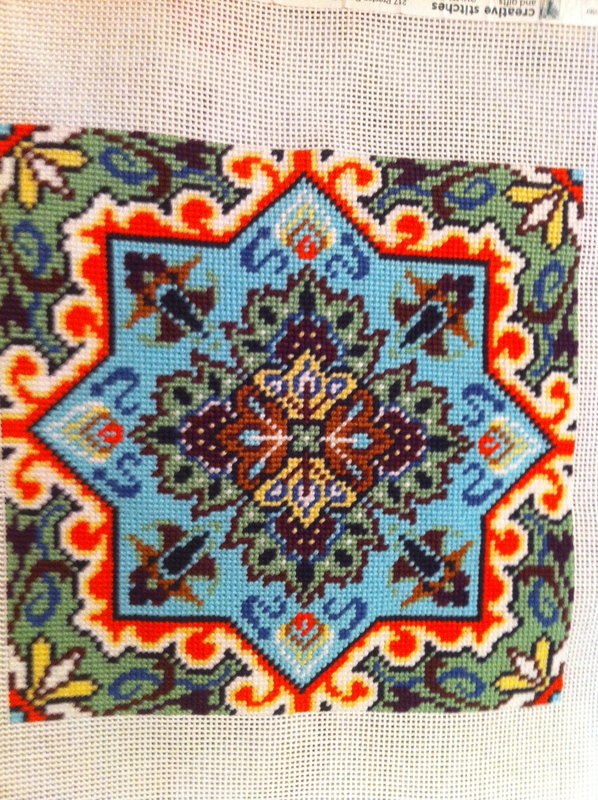 And thus, I have been doing a lot of needlepoint and watching movies and tv shows and very little writing. BUT… I am going to see a lot of doctors. And it has occurred to me that I can be as loopy and out of it as I currently am and still pass along some basic stories that might be interesting. You might even laugh – as likely at me as at the doctor or his/her staff. So hey. Here we go, dropping smack dab in media res. Dr. Three – new obgyn who actually had new ideas and gave me some options besides, you know, a hysterectomy or “we can’t do anything, so I’m sorry you are in so much pain, you wimp, but you’re gonna have to deal with it.” – PS, I am not a wimp. Dr. Eleven – the pain doctor that Dr. One originally wanted me to see, but he put up a stink about it. so I’m on his schedule, but we’ll see if that actually happens. it’s always disheartening to see a doctor who protests the idea. So today I met Dr. Six. He brought up the possibility of a certain kind of infection that could explain all of my symptoms – ALL OF THEM. That’s been the big problem – different specialists have been approaching the pieces of the puzzle that they major in, rather than considering the whole problem. But this guy blew my mind. Dr. Six also had two incredible quotes from today. One was “Well, we’ve got to get you better and back to work!” No other doctor has said something like this. I’m thinking, this guy actually thinks this is urgent! He’s not wanting to try something for 3 months and then see what happens. It was a breath of fresh air, let me tell you. 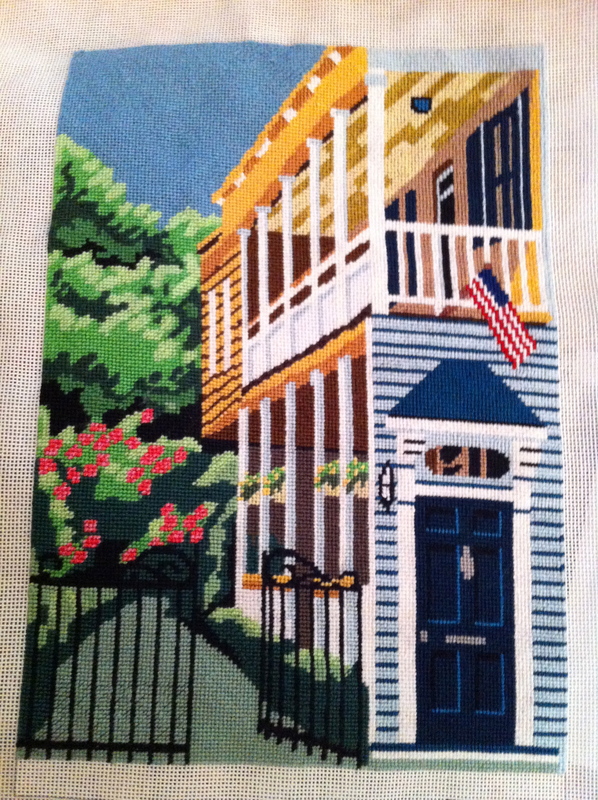 I made this for my brother, since he appreciates all things architectural, and really likes Savannah, GA (which is full of these sorts of projects). I didn’t exactly follow the pattern – it was too girly for KJ. But I like the final result. 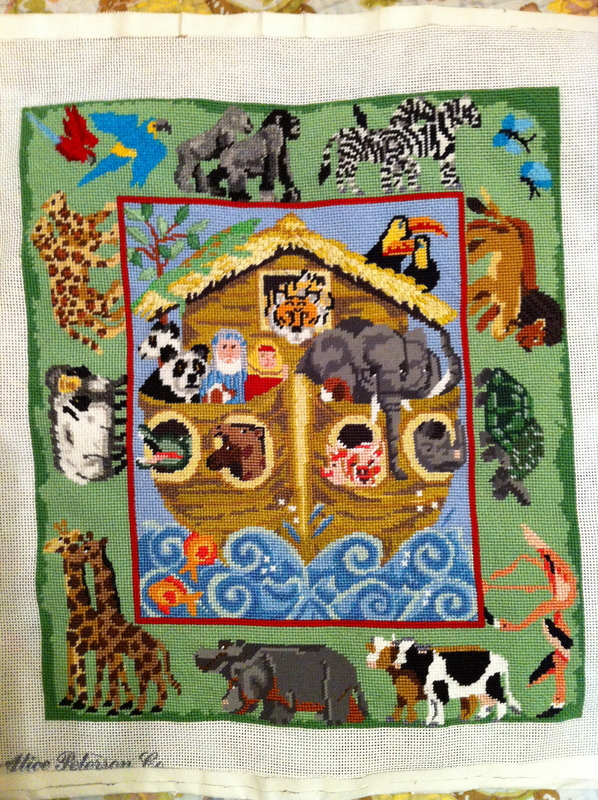 Recently finished my first big needlepoint project, which is bound for my nephew Brad’s nursery wall. It took almost a year for me to finish – I started it before Brad was a zygote. So excited to see it all finished up and on the wall. Hoping there will be a spot to put those great lyrics from Rain for Roots below the piece.